"David Marean is one of the most respected high school football coach in western New York. His commitment to the development of the football culture is second to none. NYS Elite Athletics provides opportunities other high school players in states like Florida, California, and Texas have readily and ongoing! The opportunity to learn new skills and compete during the offseason is crucial for any aspiring athlete. I support anything Coach Marean and NYS Elite Athletics do." ​-Jameel Dumas, former Syracuse All American LB, Arena, NFL Europe player, and Professional Trainer. "I can tell you that having worked at this camp in the past, NYS Elite Athletics puts on a first class experience for campers. Coach David Marean is a phenomenal coach and organizes great events that benefit everyone who is involved. These camps are outstanding opportunities for kids to get top notch instruction and improve their skill and techniques, as well as a terrific way for them to get exposure to numerous coaches from colleges all over Section 5. I’m looking forward to continuing my involvement with Coach Marean and NYS Elite Athletics in the future." "Coach Dave Marean is one of the top coaches in Section V. The staff he had working the camp was outstanding consisting of high school and college coaches, as well as Division 1 players. One thing I noticed about Dave is that he coached every kid at camp like they were his own. This is a great quality to have as a High School coach. I asked my grandson, Maximus, how he liked the camp and he loved it!! He can't wait until the next one!! Getting the opportunity to be coached by some great coaches was an excellent football experience. This is the type of camp that can make your football dreams come true! It was also nice to be working on football skills and getting better as a player in March. If you want to be the best and be a standout player this is the camp for you...be a part of NYS Elite Athletics. Looking forward to the next camp!!! " "Coach he loved it and is looking forward to the next workshop. Thanks for hosting this one." 'Coach Marean and staff put on an amazing opportunity for the rising players in WNY. Incredibly organized and efficient, this camp provides a chance to grow as a player and learn skills that can be taken back to your programs. Coach and the staff have an immense pride and passion for WNY football and it shows! An amazing opportunity and thankful to be involved!" As always, working the NYS Elite Athletics Showcase was a great experience for the athletes & Coaches. I personally enjoy working with Dave because he makes it fun and allows us as coaches to put them through some more advanced drills. The environment is special every time. Which is why he’ll always have my full support. The showcase is a must for athletes looking to play college football. "Coach, Jake has never been more excited about football as he is now after camp. He left feeling confident and comfortable. Awesome experience for all , players parents and coaches. Thank You!" "Leading up to this camp, I knew that it was going to be a great opportunity for NYS High School Football Players after seeing the amount of time that David Marean puts in to this camp. His preparation and determination to make high school football in the area better is unmatched. This camp was an excellent experience for myself and for the campers." I've worked with Coach Marean at the last 2 NYS Elite Athletics football camps & I will say that this camp is a great experience & learning opportunity that players should absolutely take advantage of. Coach Marean is definitely one of the good guys in the area that is trying to give our young players quality with everything he does. I will always be by his side in helping our players get better. 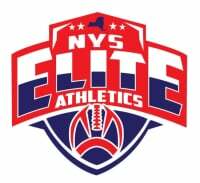 NYS Elite Athletics is a top notch organization that puts quality first & that's what our kids deserve. "Thanks to Coach Marean for the camp last Friday night had a bunch of fun." "Coach Marean , thanks for putting on such a wonderful camp. This was Damian's first impression of organized football . You and your coaches left a positive imprint on my young man in three days! It gave him a taste of what's to come. Thanks again. We will be back next year for sure!" "I have been boasting about it to anyone affiliated with youth football- including the USA Football master trainers. I asked my son yesterday if he enjoyed it and he said he had a blast. It was a great experience and really beneficial to our program." "I loved the 7on7 season. It was great to work on my football skills with my teammates in an organized league in the offseason. I play multiple sports and the Sunday morning schedule was perfect for my schedule. I really liked playing 7on7 and working on team's passing game." "I couldn't be more happy about what my son experienced. He learned so much about football in that short amount of time. Price was right and what a line up of coaches! It doesn't get any better!" "Had the pleasure to speak at Dave Marean’s football camp at Wayne High School. Before I spoke, I watched the camp and was very impressed with Dave Marean’s organization and leadership skills. In observing Dave coach his players in drills, I witnessed his outstanding ability to teach football techniques as well as his strong passion for the game of football. What was most impressive about Dave was his relationship with his players. His team was well disciplined and you could feel how much Dave cared about each player. His program had a wonderful culture! The greatest compliment I can give Dave is that it would have been an honor to have my son play on Dave’s team. I would highly recommend that any player attend Dave’s camp and be part of a special program."